Today I have my first ever glitter sandwich to show you! 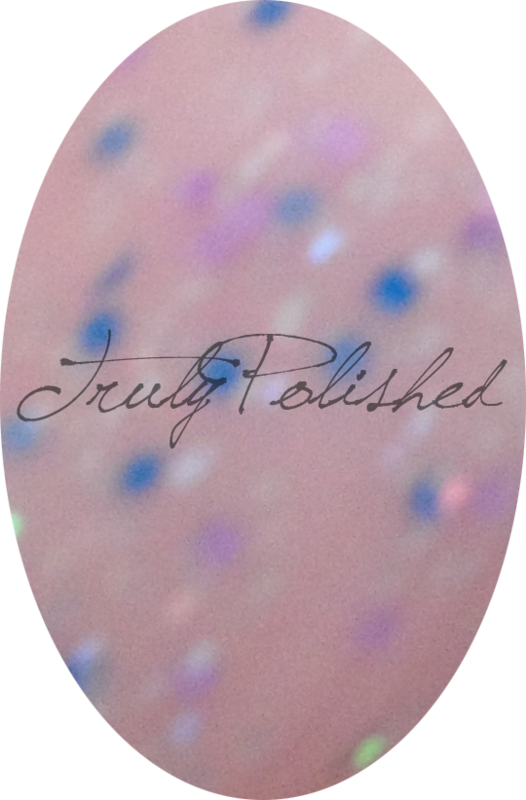 If you don't know what this means, it's basically a technique where you alternate between layers of jelly finish and glitter polish to create a manicure that has a special depth to it. I bought a few new polishes yesterday and chose them specifically because I wanted to create this look. The glitter I had in mind was NYC Colors Lights Camera Glitter because of the larger hex glitter, but my local Superdrug doesn't stock it, so instead I bought Miss Sporty Sparkle Touch instead. 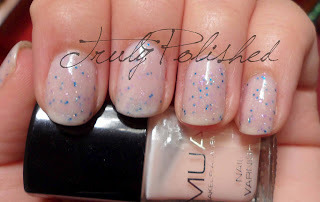 Sparkle Touch is literally a dead on dupe for Rimmel Disco Ball which I already own but didn't bring with me here! The jelly I'm using isn't a true jelly. I only own two of these and they're both at home, so instead I used MUA Shade 18, which is a very sheer milky pink creme. The technique I used was to apply my basecoat (Nubar Ridge Filler) then one coat of Sparkle Touch, a coat of Shade 18, a coat of Sparkle Touch and then a final coat of Shade 18. Then I used Wicked Fast from Cult Nails as a top coat. Even with Wicked Fast, which usually dries really quickly, this took AGES to dry, I guess it was because of all the coats. 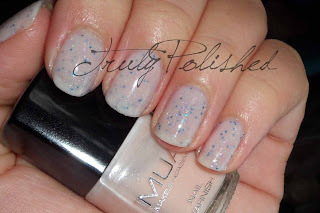 MUA polishes usually dry really quickly, but the Miss Sporty polish took forever. I'm hoping that's not a standard thing with their stuff because I bought another two from them yesterday! In natural light this leans very pink, very pretty! Click "Read More" to see the rest of the photos. I'm really pleased with how this came out. Originally I did this yesterday but I used more coats than was necessary (I wanted to avoid visible nail line) and my nails were too thick, I ended up hating it and taking it off. I gave it a second chance today and really loved it, I even embraced my VNL! I think the sheer pink really gave this a classiness that I loved! I bought both of these polishes from Superdrug. MUA Shade 18 was £1, and Miss Sporty Sparkle Touch was £1.99, both bargains! Glad you like it! I don't usually go for girly manis or sheer polishes at all, but I was so pleased with how this turned out, I'll definitely wear it again! I think it would look pretty on toes. I'm now trying to think of as many jelly/glitter sandwiches to do as I can!